French Kiss is such a fun-loving collection, I love the Paris theme with all the adorable characters and Valentine embellishments though it can be used for so many other occasions. 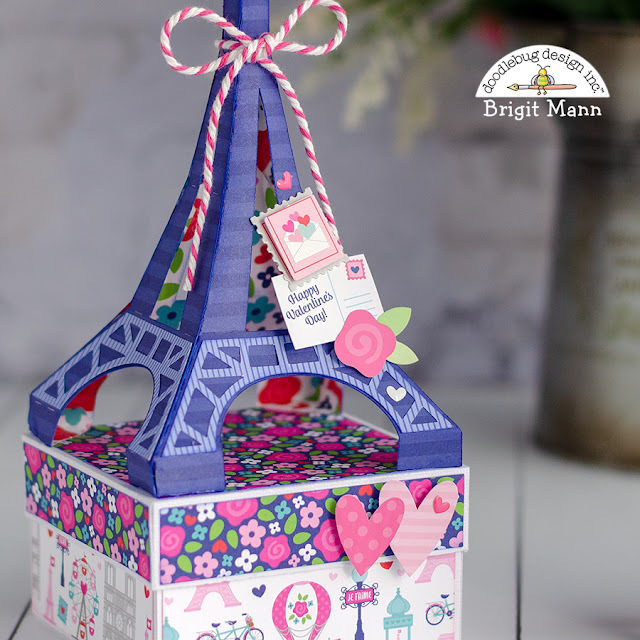 Today I'm sharing a gift set, I love the pop of navy in this collection it's the perfect color for my Eiffel tower. You rocked this set! So adorable! Your are so creative! Love this !!! 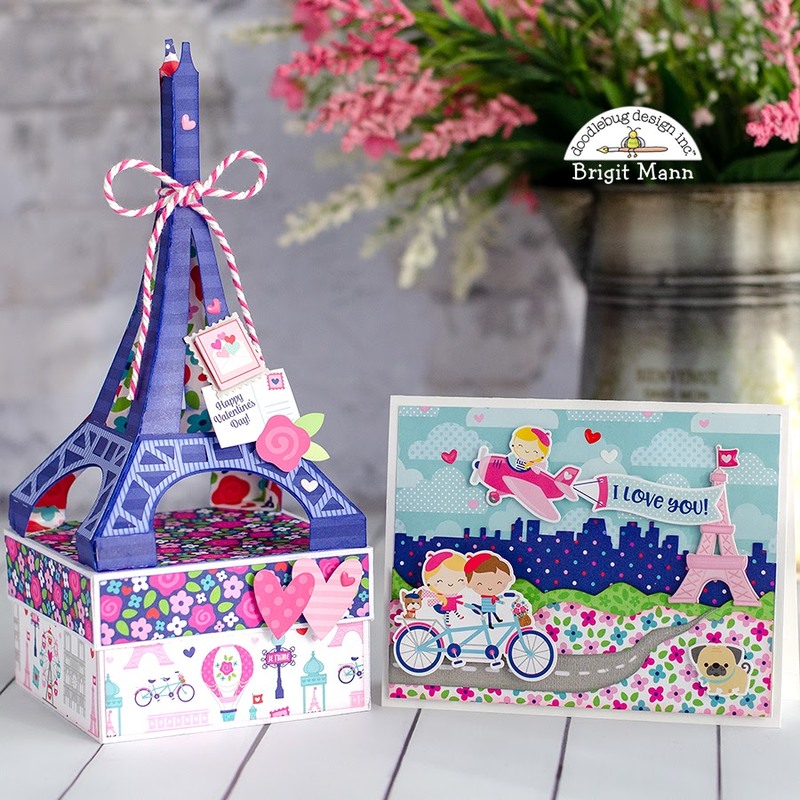 Where did you get the SVG file for the Eiffel Tower box? Hey, I'm going to Paris in summer so could I win this so as to have an effel tower to show off!!! Brigit, you rocked this!!!!! You'll get to see the real thing, that's so wonderful!! Thanks so much!